I picked the calender from the tabletop. I read the calender. I counted the days. I panicked! Because there are only 2 weeks left to 2011! And there are still alot of important things that i need to settle before the year ends! Mid December is always my least favourite time of the year, hands down. 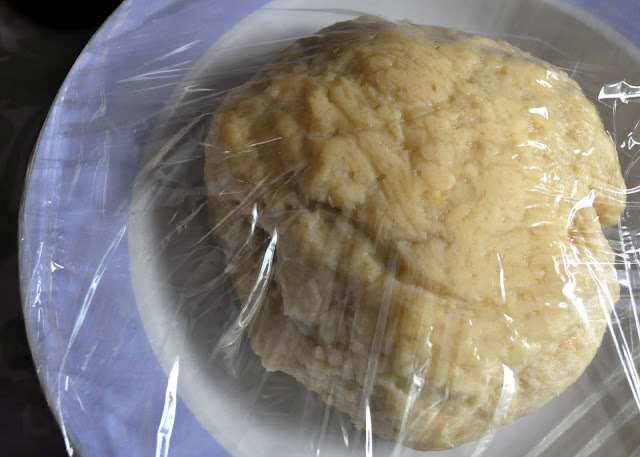 And to overcome this matter, i decided to... knead some dough. Which, we all know, is completely irrelevant. No wonder i'm always behind time. 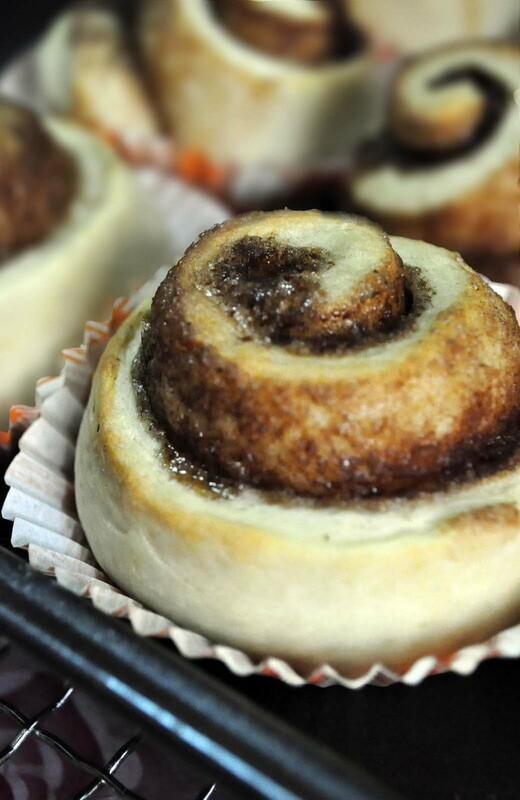 There are many great Cinnamon Roll recipes out there, and to me this recipe is best suited for novice bakers who have yet to gain confidence in working with yeast. I've to admit that working with yeast can be such an intimidating experience sometimes. Even my husband vowed not to make breads anymore, and it's all thanks to the bad guy, Mr Yeast. But i can assure you that this recipe is totally foolproof, and quite forgiving, i must say. The first time i made this, i didn't read the recipe properly and end up pouring cold milk instead of lukewarm milk into the dough batter. And the dough still rose beautifully, much to my amazement. BUT, to be safe, just read the recipe properly. These cinnamon rolls are really soft, with satisfyingly sweet butter-cinnamon-sugar mixture filling that gives a soft crunch if you put lots of it into the dough. 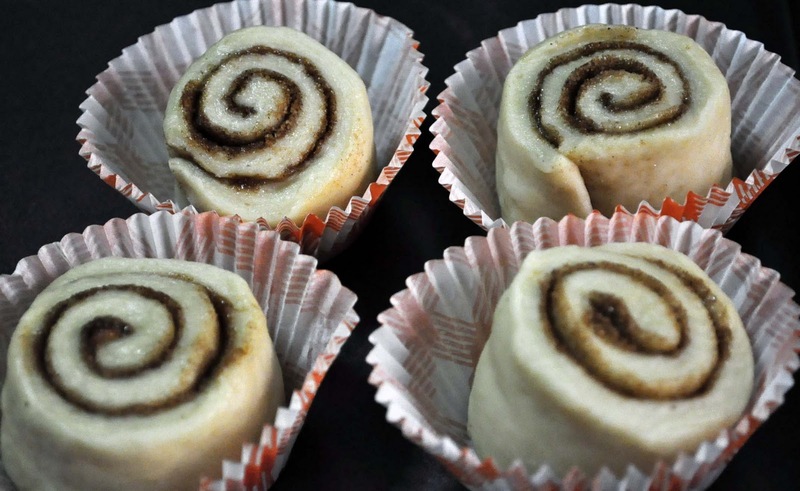 Marry the rolls with the cream cheese icing (or whatever icing or syrup of your choice), sink your teeth into it, and you can just bid your sorrows goodbye... errr, at least for a while. Add in sugar and dry yeast. 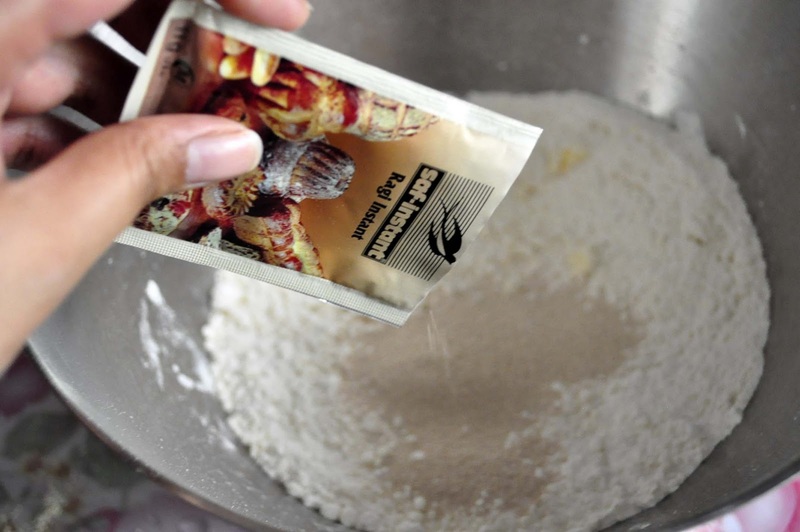 Mix with a spoon until well-combined. Wrap the dough with a damp cloth or clingwrap film and let it rest until it is 1.5 times bigger (approx. 40 mins - 1 hr.). After it has rised, re-shape it into a ball and let it rest again for 10 mins. Divide the dough into two portions. Take one portion and roll it out into a 25cm X 20cm rectangular shape. 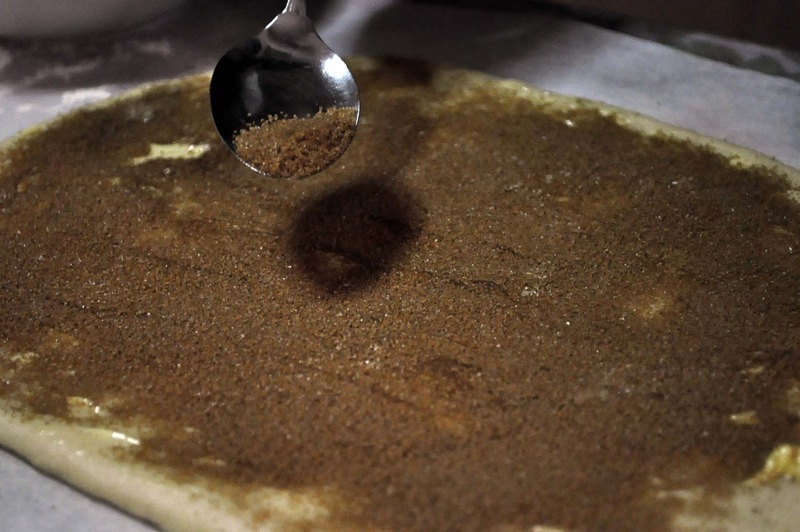 Sprinkle the filling evenly over the rolled out dough. 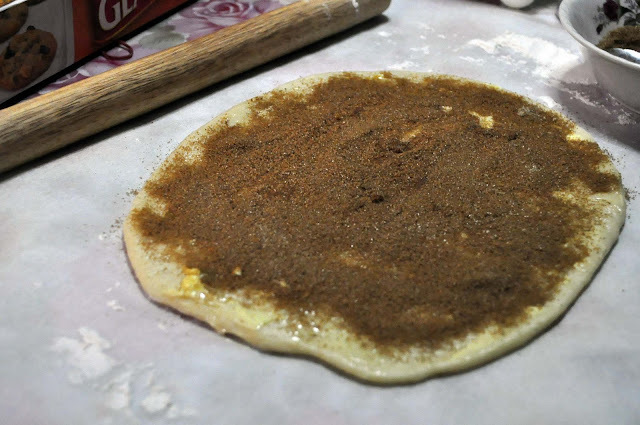 (For the filling, i spread the butter over the dough with a butter knife first before sprinkling the cinnamon and brown sugar over it.). 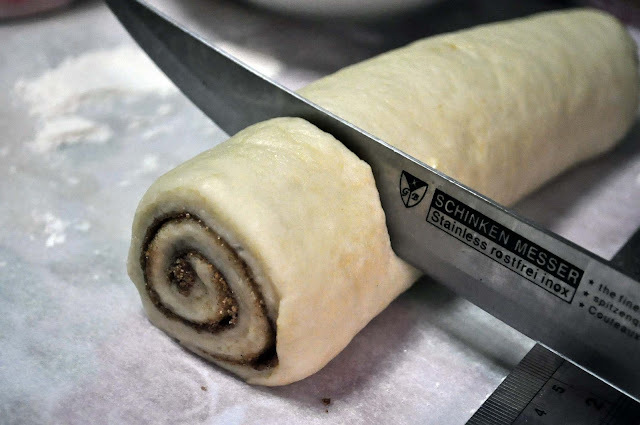 Roll the dough into a log. Pinch the seam to the roll to seal it. Slice the log/roll into 4 equal-sized pieces (approx. 4cm long each). 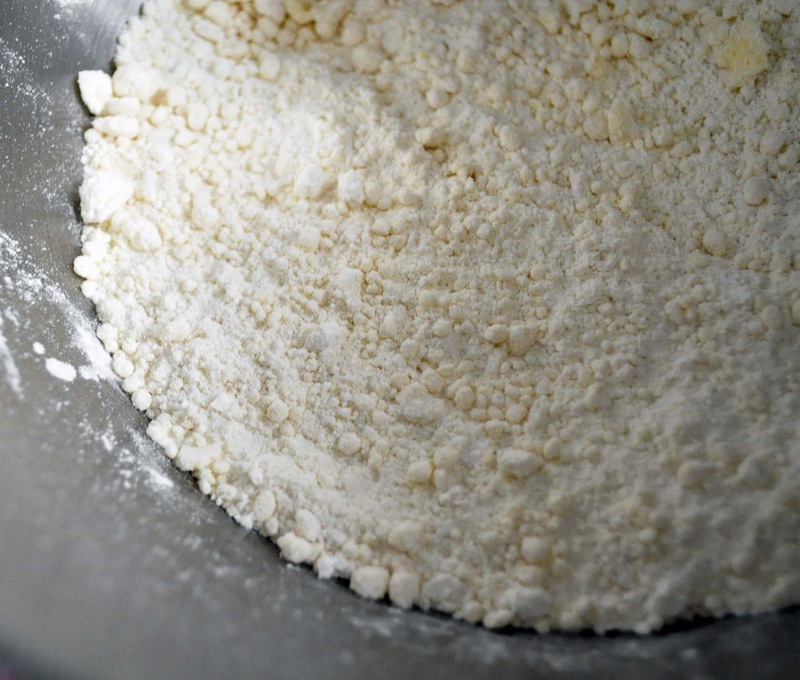 Repeat these steps to another portion of dough. Place the rolls into muffin cups and let them rise again to 1.5 times bigger. Bake in preheated oven for 15 minutes or till light brown in colour. Meanwhile, make the cream cheese icing: put all the ingredients together in the mixing bowl and beat until creamy. Do not overbeat. 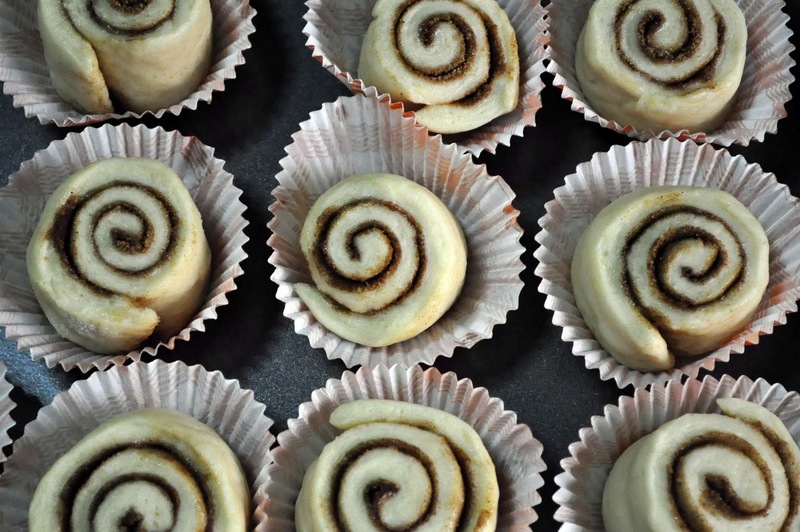 Drizzle 1 1/2 tablespoon of cream cheese icing onto each baked cinnamon rolls. thanks sudi keblog akak..nice blog here, with nice pictures!! This look so good. Merry Christmas and Happy Holidays! 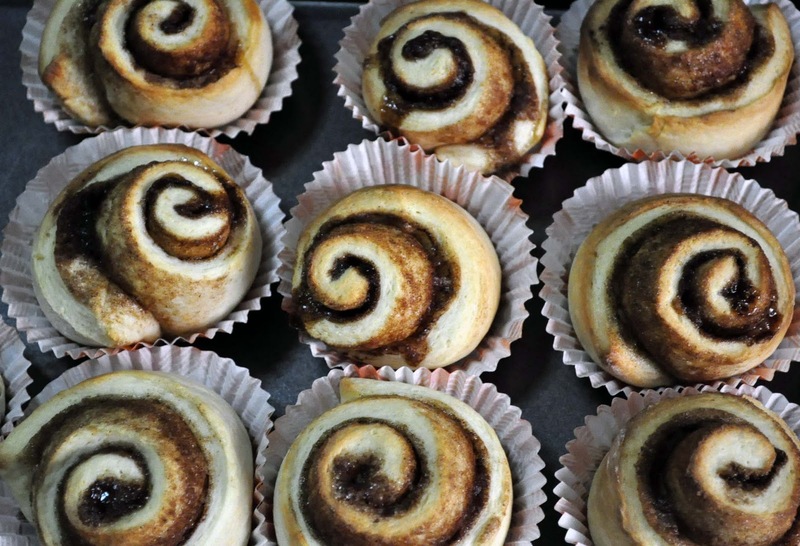 I love cinnamon rolls and these look delicious. Looks absolutely perfect! 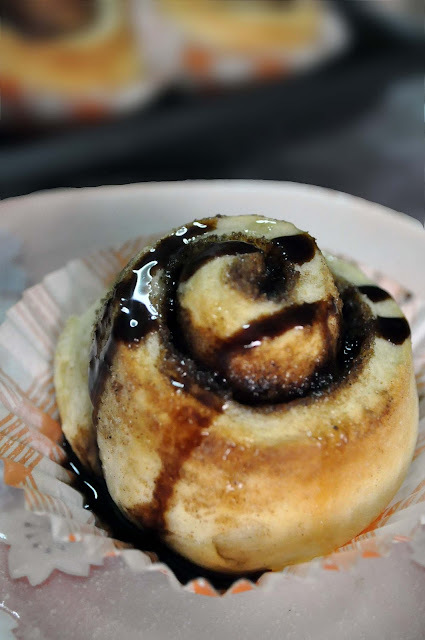 We make it with poppy seed too, oh my that is my favorite of them all.